So, for nearly fourteen months, I’ve offered tips, on this blog, about writing musicals. I’ve failed to emphasize, however, that there’s something that’s an essential key to success in this business of musical comedy. And it has nothing to do with writing, per se. It’s the main thing I wish I understood when I started out. And the advice I wish I’d done a better job following over the years. You’re going to have to meet a lot of people, cultivate connections, and have, in your expansive circle of friends, folks who will help your career. You’ve heard “It takes a village to raise a child” well, it’s going to take more than a village to mount a musical. There’s a new musical opening on Broadway and I haven’t seen it, so I’m not going to say anything about its quality. As it happens, a little over three years ago, I saw another musical on the exact same subject, with the exact same title, and I thought it was really well-written in many of its aspects. So, how can I talk about two shows with the same title? Let’s call them Lucky and Unlucky. So, Unlucky has a score by an award-winning songwriter. I met him once, and find much to admire in his writing. He’s a friend of a friend. The composer of Lucky is also a friend of a friend, but every time I see his shows, or hear his scores, I cringe with discomfort. Every note seems an awful overblown cliché. He’s had impressive success in the pop music world, but his musicals seem to suffer from a lack of understanding of what makes songs theatrical. Now, it could be that Lucky is a much better show than Unlucky, but I think there’s probably something else at play here. 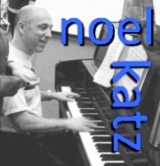 The composer of Lucky knows people. Rich people. People who believe that the next show he writes will turn a profit. I should mention, here, that no single composer in the history of Broadway has lost more money than the composer of Lucky. If you take his half-a-dozen shows, all of which closed in the red, and add up the deficits, he’s the reigning champ of loss. The Unlucky songwriter’s never had a show on Broadway, although he’s written one of the more financially successful off-Broadway musicals of the current century. But the Unlucky songwriter’s show languishes in obscurity while the Lucky version opens on The Great White Way. It’s who you know. Does that sound cynical and jaded? I don’t mean it to. I merely mean to suggest that you owe it to yourself to get out there and shake a lot of hands, kiss a lot of frogs. Sometimes the seeds of a new relationship take years to bear fruit. When I was 21, the girl I was dating introduced me to two friends who’d go on to become the friends who did the most for me, in terms of getting my musicals produced. Those relationships directly led to The New U., On the Brink, The Christmas Bride and The Company of Women. But that’s not all: performers involved in various readings of The Company of Women went on to come up with the ideas for Spilt Milk and The Love Contract. An impresario who attended Spilt Milk commissioned The Pirate Captains and mounted a production of Not a Lion. But that reminds me: long before she did anything of mine, I did a lot of work for her, gigs that involved traveling great distances. I think many people, given the long hours and low pay, would have quit. But I stuck with it, and it led to two productions. Similarly, before MK Wolfe asked me to write music and lyrics for The Christmas Bride, I’d put in many long hours volunteering, in various capacities, for The Third Step Theatre Company. I’d licked envelopes. I’d read submissions. I judged one of their festivals of new plays. And, eventually, Third Step decided to produce The Christmas Bride in New York, roughly seven years after I first met my girlfriend’s friend. I’ve another story of this sort. When I was an 18-year-old freshman in college, I got cast in a small part in a production of The Winter’s Tale. I saw that the play’s clown sings a number of short songs and volunteered to write them. The director hadn’t previously considered where the melodies would be found, so gladly accepted my help. Four years later, I ran into someone from that cast on my street. We discovered we lived in neighboring buildings. Now, she had a friend who needed a composer to write a song for a play about nineteenth century assassins. But she didn’t have my phone number (nor was it listed) as we just weren’t that close. So, knowing my address, she sent me a postcard, mentioning she had a friend looking to collaborate. And, about two years later, that friend and I saw our musical The Heavenly Theatre produced. Yes, the serendipity of running into someone you haven’t seen in years on the street. Makes New York sound like a small town, don’t it? I have a friend who actually lives in a rather remote small town, one that’s actually famous for its lack of culture. Many years ago, I advised him to come up with a fixed duration of time, say an hour, and see to it that at least an hour of every day was devoted to writing, and at least an hour of every day was devoted to networking. Alas, he wasn’t able to keep to that, but if you commit yourself to volunteering for things that will allow other theatrical types to get to know you and, the ultimate goal, to get to know your work, then you stand a better chance of becoming the Lucky songwriter, rather than the Unlucky one. The Christmas Bride, a romantic musical I wrote with MK Wolfe some years ago, will get its third production, this time in Portland, Maine December 15-21 at Lucid Stage. I endeavored mightily to create a new orchestration for this mounting, and the new cast features David Bachrach, a member of the original New York cast, in a different role. Unlike the last production, in Pennsylvania, Al D’Andrea, who was so instrumental to the show’s creation as the first director, will stage the New England premiere. There’s the love one feels for one’s family, and growing up involves leaving the nest at some point. There’s the sort of love one associates with duty, the devotion you give to someone because you’re supposed to. There’s the love that takes such a hold of you, suddenly you’re willing to break all the rules, and those other kinds of love seem pretty pallid by comparison. The departure point for our tale was a novella by Charles Dickens, The Battle of Life. But the beats of the plot are truly an MK Wolfe creation. Nineteenth century England proved an inspirational setting, because it’s far enough from our mundane world for passionate declarations and actions to feel natural, yet close enough to express things that romantically-minded people feel today. Before this collaboration, I’d run into various problems with librettists: nothing untoward; they just weren’t frequently providing me with what I needed to do my best work. MK Wolfe’s understanding of drama meant that the script built to a large number of conflict points where characters could burst into song since the emotions were too fraught for mere words to do. So, at last, I was provided with the meaty material on which interesting and involving songs can be based. In the first act, the leading man is in the office of his two lawyers. They have news for him and he has news for them. The former is the seriousness of his gambling debts: he’s pursued by a Javert-like policeman and must flee the country to buy time to repair his estate. The latter is that he’s proposed marriage to a country lass with little dowry whose family is also among the law firm’s clients. The situation reminded me of an obscure musical theatre song I barely knew, To Look Upon My Love, from Kean. What I like about the song is that it plays the romanticism of the Alfred Drake character off against the mundane and comic considerations of the financial advisor. For The Christmas Bride, then, I felt I might be able to give the leading man moments of lyrical and perhaps overblown ardor. The audience would accept them, and feel they’re real, because they’d simultaneously hear funny and fastidious concerns with finance. The Kean song, though, ends with the fiscal subject winning out over the song of love, and the music plays a disappointingly trite tag. In talking over the scene with Wolfe and director D’Andrea, we came up with a bigger, almost cinematic idea, involving the other man in the romantic triangle singing with his peculiar sort of devotion. We could comically contrast the way the two men see the heroine, and end with the love outlasting the monetary mundanity. More satisfying for the audience, I think, and it built to enthusiastic applause. In the second act, the script gave me the opportunity to build a production number around the idea that someone who is addicted to gambling might be distracted from his main objective by the siren’s call of a casino table. A little research led to the happy discovery that roulette was the newest hot item on the London gambling scene in the 1800’s, which led me to a neat phrase, “the revolution of roulette.” So, our hero feels two gravitational pulls – the love he feels for the heroine, and the macho challenge laid down by his old cronies, degenerate gamblers. The audience, I hope, foresees the inevitable tragic turn but it should be one of those classical theatrical moments when you’re dying to run up on stage and slap some sense into the character. The tension set up by Wolfe’s libretto is filled with elements, both comic and dramatic, that I explored and amplified with my music. The whirl of the wheel (which the orchestration gives to a cello doing sixteenth note figures) also plays as the “ticking clock” one finds in film thrillers. I wonder if I’ve said too much. Discussing The Christmas Bride, what it does, or what I hope it does, is one thing. Seeing it is another. I can provide a couple of demo recordings, but, as this is a work of musical theatre, with songs intricately connected to plot, character and dialogue, you really have to see it to get it. And so I urge you to set sail for Portland and take in a performance of this stirring musical romance, and find out what the hell I’m talking about. I’m not going to comment about the current revival of Godspell on Broadway at Circle-in-the-Square, but I’ve some general comments about the show itself, the virtues of which eluded a lot of the critics this time around. It’s important to remember its origin. A student at Carnegie-Mellon, for his doctoral thesis, devised an unusual way of presenting parables from the Book of Matthew on stage. Prior to Godspell, adaptations of the New Testament tended to be rather serious – reverent is probably the best word – so this loopy revue was a radical departure with tradition. In what must have seemed clever and fresh at the time, a bunch of hippie clowns summarize various philosophers in delicious counterpoint. Then Jesus, a guy in a Superman t-shirt, wanders in. He points out the morals of the little scenes the clowns act out in the form of improvisational comedy sketches. Eventually, they act out The Last Supper and Crucifixtion, but the emotion of this sequence has less to do with religion than it does with a circle of friends, one of whom must say goodbye. Over the course of the musical, the clowns have demonstrated teamwork and loving camaraderie. So, it’s particularly moving to see them all individually bid farewell to the guy with an S on his chest. As a little show, geared for the college market, Godspell is about as successful as can be. Minimal set, costumes are tattered street clothes, and a young cast is optimal. More obviously, it’s the perfect church basement show. Say a church has a youth group that wants to put on a musical. What could be better? The New York theatre, however, has a way of commercializing everything, and, early in its life, Godspell became an off-Broadway phenomenon, performed at a converted church. And in came a record producer, gunning for big “pop” album sales, and suddenly Day By Day is on the charts, and people are seeing the show because they love the song. Then the thing moves to Broadway. Trouble is, it’s not a Broadway entertainment. It’s a modest mini-musical that can best be appreciated at a short distance, in a tiny theatre. It doesn’t offer the sort of large-scale theatrical coups one expects on Broadway. The musical, over the years, has unsurprisingly and deservedly become a mainstay of secular schools and Sunday schools, seminaries and small theatres. As such, it’s very familiar, and the clowning disciples that once seemed novel have now withered into tired clichés. Godspell, in certain larger houses, becomes a victim of its own success, and one can hardly fault the authors, who fashioned the perfect entertainment for a particular venue. When a producer says “I want to take your show to Broadway” who’s going to say no? Hard to believe I’ve gotten this far without talking about Godspell‘s greatest asset, Stephen Schwartz’s score. While some of the texts are taken directly from religious sources, like The Book of Common Prayer, the original lyrics and ever-so-catchy music do a number of very entertaining things. First, as you might have guessed, I’m delighted by the quodlibets. The opening number, which you won’t find on the original cast album, is the ultimate display of collegiate cleverness, merrily setting eight philosophical tomes in musical opposition. The ostensible leads, Jesus and Judas, get a soft shoe duet that utilizes some dazzling and well-wrought patter. Schwartz never settles for one style of music, but wisely chooses to prick our ears with an eclectic mix that includes a peppy hoe-down, an old-fashioned dirty blues, and, more than anything, gentle folk rock. It’s astonishing that a composer his age (23 when it opened off-Broadway) embraces so many good musical ideas. Day By Day, for example, starts as a waltz before breaking into a celebratory 4/4 rock. And, inspired by Laura Nyro, he puts unexpected bass notes under the hip triads of Bless My Soul. 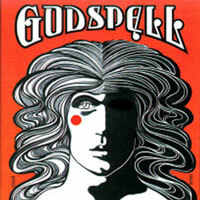 Extraordinarily, the script of Godspell is a mere template on which individual productions are supposed to expand upon. Each mounting will come up with new, and hopefully relevant, ways of presenting the parables. For instance, I worked on a production during the height of the Lord of the Rings craze, and our rendering of the Servant of Two Masters involved impressions of Frodo and Gollum. Much like improv, the audience attends hoping to appreciate the creativity of the cast. If you’ll forgive the pun, the text of Godspell is not to be taken as Gospel. This is one of those rare moments in a musical-writing career where I feel elated with a great pride of accomplishment, as if I just wrestled a bear. And the kick of it is, I didn’t previously know much about orchestration. Ever the autodidact, I taught myself as I was going along. Since I started at the overture and ended at the finale, it’s possible that later in the show, my choice of instruments improved. Choosing instruments is what it’s about. When most people talk about orchestrations, and enjoying orchestrations, they’re really talking about arrangement, which is something different. The orchestrator decides which instruments should play which notes in a score. In the case of The Christmas Bride, I wrote (many years ago), a full piano score. Since the beginning of September, I’ve been dividing up the note-playing assignments between piano, cello, English horn, clarinet, oboe, flute, recorder and piccolo. The choice of instruments is connected to the different emotional colors I want the music to have, in any given measure. In a way, it’s a little like acting. You’re given a speech and must decide which words to emphasize, how your voice will modulate, or rise and fall. It’s easy to picture an actor trying to read a line eight different ways. What is a cynic? A man…who knows!…the price of everything…and the value of nothing. What is a cynic, a man who knows the price…of everything and the value…of NOTHING! When I choose a clarinet rather than an oboe, it could be because I want to convey a sense of playfulness, a facility with humor, or hysteria. Of course, the ranges of the various instruments matter as well. The clarinet has a much wider range than the oboe, and would be essential if I’ve a line that jumps around a lot. But do I? I also get to determine which lines of melody, harmony and counterpoint are brought out by having them heard on a particular instrument. And this leads me to step back and look at a score I wrote many years ago with fresh ears. As a young man writing for piano and voice, I now see, the melody line the singer would get was of paramount importance. The Christmas Bride is full of rich, romantic, hummable and singable melodies. This year’s consideration has to do with how best to accompany, to support the singers, and the story. Certain instruments are so distinctive, there’s a risk that they’ll compete with the singers for the audience’s attention, and we can’t have that. But we can have a kind of counterpoint I’ve never previously explored. My music has often contained overlapping but distinct melodies that somewhat magically work together. In the orchestration, now, I’ve the opportunity to use instrumental sounds that sometimes contrast with the singers. And this brings out lines the listener might not notice in a piano-vocal rendition. I can use these sonic contrasts to underline a subext, or to comment upon what’s being said in the lyrics. An area that’s always important to me is appropriateness to time and place. The Christmas Bride is set in 19th Century England, and depicts stark difference between rural St. Albans and crime-filled London. What you hear is part of a storytelling process that portrays a certain era and locale without any jarring notes that take you out of the moment. Or at least I hope. The proof is in the pudding, and that flaming pudding will play Portland December 15-21, a particularly Christmas-y place. What I’d love most of all is for people to attend and tell me that yes, I’ve succeeded in picking instrumentation that’s true to time and place and underlines the dramatic undertones in all that the characters say. I’ve never been more thrilled to lose a competition. The other week, a major songwriting prize went to one of my favorite songwriters, Jeff Blumenkrantz. The week before that, a twenty-something actor, searching for contemporary material, asked me to name a current writer I admired. You see, he’d heard me disparage quite a few of today’s over-exposed tunesmiths. Without giving it a moment’s thought, I told him to check out Blumenkrantz. Which he did; now he’s another fan. And, I must say, it feels good to be writing about music I like after the firestorm I set off last week expressing my bewilderment at a certain overdone song. Jeff Blumenkrantz songs deserve to be sung more often, as they’re shining examples of wit, craft, and the effective use of emotion. Take his most famous song, I Won’t Mind, which has a lyric by Libby Saines and Annie Kessler. Blumenkrantz utilizes what I’d call old American harmonies – a set of sounds that feel like they might have existed in 18th Century Not-Yet-United States. (Whether they actually existed is immaterial; verisimilitude is all.) As the song is addressed to a baby, the melody often trips down the first five notes in the scale, sol-fa-mi-re-do, as a lot of nursery songs do. But these runs run into each other, as unexpected changes in time signature constantly shake things up, mirroring the unpredictability of interacting with a young child. I could write for reams, but instead I’ll let the song speak for itself. I’ve always been unable to listen, play or sing I Won’t Mind without crying. The song became known (to the extent it is) starting with its appearance on Audra McDonald’s second album. In this and her previous record, the Broadway star did an admirable thing: she chose songs by theatre composers that, really, only insiders knew. This exposure catapulted four to fame (Adam Guettel, Michael John LaChiusa, Ricky Ian Gordon and Jason Robert Brown), and the press began to write about them as “Sondheim’s children” or “post-modern'” – two terms so woefully inaccurate I could spit. But that’s a subject for another day. Blumenkrantz, to my taste, is far superior to the Exalted Four. Their work often leaves me cold, while Blumenkrantz successfully mines each dramatic situation for maximum emotional power. His story-song, Toll, has a simple premise, but the lyric reveals an impressive imagination. He’s clearly given a lot of good thought to the plight of a toll-taker and what might be funny and/or touching about her. In fact, his ability to wring what seems like every possible good joke out of this topic reminds me of the greatest living lyricist, Sheldon Harnick. But what knocks me out is his ability to be simultaneously moving and hysterical, as in the line about babies. You burst out in tears exactly as you burst out in gales of guffaws. Listening to Blumenkrantz music, you get a sense of what the man’s listened to. And one certainly suspects he knows his show tunes. He’s adept with old-timey jazz and razzmatazz. But hearing his setting of Edna St. Vincent Millay poems, I get a very strong impression he’s heard plenty of classical music in his life. And thought about it. I mean, it’s one thing to have WQXR playing in the background as you floss your teeth; it’s another to really investigate what gives Ravel, Copland and Prokofiev their unique sounds. By sheer coincidence I found the first video, an arrangement for voice, piano, cello and clarinet, while I was working on a piece for the exact same combination. And my hat’s off to the superior composer and orchestrator. So many other songwriters today sound as if they’ve only listened to pop songs. And you know who else has usually only listened to pop songs? Pop writers you can hear on any radio station (but WQXR). In order to write for the theatre, it’s important to have a wide variety of influences and observations of various compositional techniques. Just knowing rock is not enough, if you’re ever going to be able to delineate a variety of characters and dramatic situations. Lyrically, I keep hearing young writers straining to appear wise and profound, as if profundity is what an audience is looking for in a song. Seems to me the Jeff Blumenkrantz forays into poetry settings have taught him the power of a single well-chosen word, such as “trick” and “chump” in Hold My Hand – tiny bits that make your heart explode. The audience immediately cares, passionately and compassionately, for the character singing, in part because he’s opted to use such a heartbreaking locution. And that’s a sign of exquisite craft. For five or six years, I feel I’ve learned more from Jeff Blumenkrantz about writing musical theatre than any other source. In the relatively new field of podcasting, he’s contributed hours of songs and interviews with top performers and other writers. And whenever I play his sheet music (I had a devil of a time learning My Book – another story for another day), it’s a lesson in the interplay of harmonies, the voicing of chords, the skill of writing for the voice, etc. The panel giving the recent award got it right: this guy’s the master. And I hope I’m the best of the rest and can win it next year. You are currently browsing the There's Gotta Be a Song blog archives for November, 2011.